Between trying to debug this WordPress blog (it is so ugly now, urghs) and spending time with my littles, time has been woefully short. Without time, I have not been able to reflect on everything that has happened over the past 12 months. In the one year that has just passed, I have graduated from my crazy and hectic one-year masters course. In between sleeping at 2am on an almost daily basis and maintaining my full load of work at my job, I also sold my house, bought a new flat, embarked on renovating the new flat before finally moving into it one week before I flew to Madrid to complete the last lap of my masters. When we moved in, only our master bedroom was partially ready. Everywhere else was incomplete, raw, bare. We had no light, no heater, no air-conditioning, no wardrobe. The kitchen cabinets were not up, we had no stove and no sink. The living room was full of uninstalled carpentry. It was a total nightmare, and then I had to pack my bags for Spain, leaving my family behind. This actually warrants a post on its own, in an eye-rolling kind of way. It was a tough period. A few months later, the husband flew off on one of his long business trips and I was solo parenting. It wasn’t that hard, as most solo-parenting mamas will attest, we get used to it fairly quickly. And then soon after, my mum was diagnosed with an aggressive cancer in late stage. I struggled a lot. I tried to hold it down together but there were moments where I broke, when I felt broken. There were times when I cried hard as I drove back to work after sending her to her chemotherapy sessions. There were evenings when I parked the car and sat in it alone and sobbed. And as much as I needed my boys in that period, I also needed to be by myself a lot. I couldn’t pack and compartmentalise my emotions with them around. My work suffered, between all that shuttling and adjustments. And it came to a boiling point when I suddenly came to the realisation that this is just work. I am not indispensable, I am not valued. I am just an employee, full-stop. My values and the company’s are no longer in sync and the disharmony is grating. With all that had happened, I was feeling tired and defeated. By the time December came around, I felt unmoored and directionless. I used to believe that I am strong and can withstand just about anything but this time, I was exhausted and breathless. And then we made the decision to take a quick trip up north, to bring our kids to their favourite theme park and to also catch a breath. It was simple, fuss-free, with no itinerary. But it made all the difference. We encountered so much kindness and happiness. First, from a smiling pair of young men who gave us their 1RM note to pay for parking when we didn’t have the right amount on hand. It was only 1RM, I know, but their swiftness in handing over their note once they heard our verbal exchange and their refusal to accept payment warmed our hearts. And when we got to Legoland, the staff was amazing and the weather was kind – cloudy without that sticky humidity. I went into the park feeling optimistic and hopeful, and told the husband that I had a good feeling about the lucky draw. So we set about purchasing something to get us into the draw. I really wanted to buy the Harry Potter minifigs and went to the counter to start feeling up the sealed packs, haha. At the same time, the husband and I were chatting to the cashier and he asked if she knew how the individual characters felt. She did, and offered to help me. Pack by pack, she went through to find the three characters that I wanted and there were well over 20 packs. But she did and I ended up with the three that I really wanted. At the lucky draw, we stood on the sidelines expectantly when the emcee picked out the first entry – consolation prize. “The surname is…LONG!” he announced and the husband and I grinned like fools. It was my receipt that he had fished out. And then five minutes later, he picked out the husband’s receipt for the third prize. We were laughing uproariously! Out of the five prizes, we had nabbed two. “Told you I had a good feeling!” I said to the husband laughingly as we walked out in the darkness. Never mind that the prizes are honestly….crap. It was the good vibes that mattered. And that feeling of…I don’t know…somebody watching over me. I was feeling really crummy but this trip really lifted me up. I don’t care much for organised religion but I believe in something – or someone – greater than us in the universe and in that moment, it was like God was saying, you’re going to be okay, you are loved and blessed. And that is how I will move into 2019. With calmness and the knowledge that I am blessed. I don’t know what will come my way but I know that I cannot fear the unknown and the unpredictable. In the new year, I will prioritise me. It’s okay to put me above everyone else once in a while, and it’s okay to want to be alone. I want to read more books, work on my fitness regularly, get back to writing and shooting pictures. I want to spend time with those who love me. I want to step out of my comfort zone more often and do things that scare me. I want to say “no” more often. I want to move in a new direction and live boldly, as Will Traynor so wisely advised Lou. I will face this world bravely but I know I will not be alone. Me, I have an uncomfortable relationship with my island home. It is where I was born, where I grew up and collected fond (and not-so-fond) memories over the past 37 years, where I got married, where we built our home, where my two boys were born, where we are bringing them up. It’s everything I have ever known and loved, and yet it’s also a place which gives me dissonance. 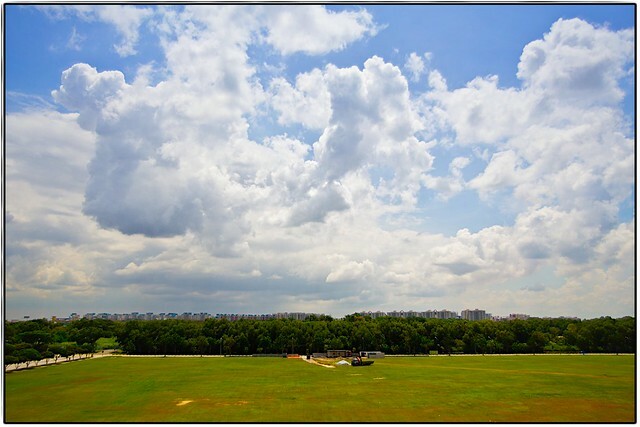 Home is where my family, my friends, my food (I am a Singaporean after all…) are. Home is beautiful. Home is also run by a government whom I feel strongly for and against in so many different ways. In my own little way, I try to imprint the changes I want to see, in the area that I am most familiar and skilled in. And that is one reason why I remain in public service, in education, because I feel a strong pull to try to put in changes from within. There have been many, many times when I feel completely out of place in public service because I do not fit the typical mould of what a government employee should behave but I also know that an organisation needs variety – strange people like me – in order to thrive. And so I stay and try to fit in where necessary and push against boundaries when I can. So off we went, me and my boys and the husband, and sat ourselves down in the Marina Bay Floating Platform. And I daresay that this is really one of the best NDP that I have seen. 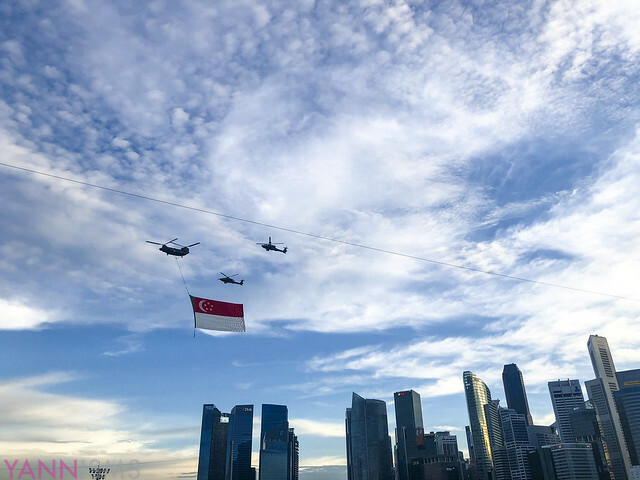 Look, we all know that while part of the purpose of having a parade on the day of our independence is for us to show off our pride in our country, a lot of it has also to do with propaganda (for the lack of a better word). There is a nationalistic message that needs to be sent out to the citizens and the rest of the world: we may be little but we have plenty of might, just look at our tanks and our armed forces. This is usually the part in the parade that I skip. This year, while there is still some element of that, much of it has been removed or shown in unbelievable subtlety. Much of it has to do with the creative direction of Boo Junfeng – there is so, so much less of that LOOK AT MY MUSCLES AND LOVE ME bellowing and pounding on the chest, and more of that gentle, introspective feel. The films were exquisitely shot and edited (needless to say), and evoke emotion and thought. 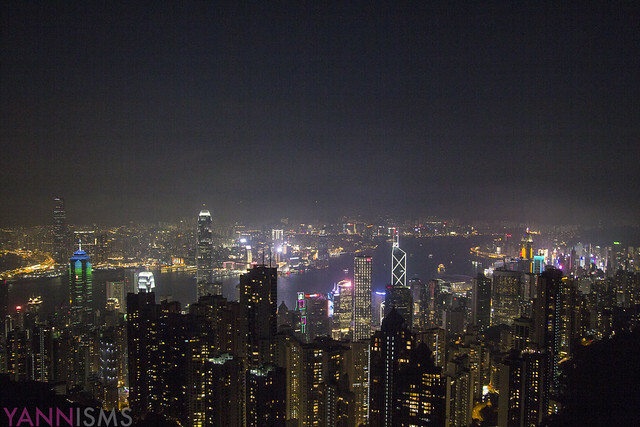 I was wiping away my tears while perched on the tiny yellow plastic seats at the platform. The performances were less cliched (giant Aedes mosquitoes, remember?) and less showy, and that is honestly an amazing feat in itself. The best part – to me! – was the music. 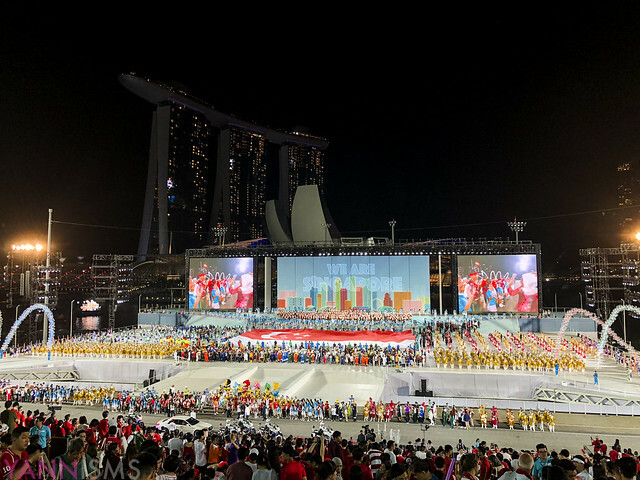 If you had seen that video of We Are Singapore and loved it, then you’ll be happy to know that many of the songs that we know and used to sing as kids in school have received the same treatment. I won’t spoil it for you but I just want to say that Aisyah Aziz’s rendition of The Water is Wide brought tears to my eyes. Her voice soars effortlessly and is packed with the right balance of ethereal lilt and gravitas. So. I count myself lucky to have been able to catch this NDP “live” and to experience all the works on the spot. It was a masterstroke from the organising committee to get Boo as the creative director and I think it’s more than paid off. If you have the chance to watch either the rehearsals or parade live, yay! Otherwise, don’t forget to catch it on TV. It will be well worth your time. Just make sure you have some tissues near. Ah, look, yet another year has passed us by. Goodbye 2017, I am not sure what to make of you but hello 2018 and the promises that you hold. I have been largely absent in 2017 because, Master’s degree. When I first decided I wanted to embark on my further education, the constraints of my circumstances – full-time employee with a husband who travels and two littles – meant that I couldn’t go for a course that required regular and physical presence. Online was the only way to go, which was why I opted for a blended learning environment. To be honest, having online lessons after a day’s work is tough. And exhausting. But it was also good. The windows that have flipped open, the shutters that have been lifted, everything that I have read and learnt has shown me just how little I know. Gaining knowledge is an empowering and liberating experience, and I wish I had that same sort of thirst for knowledge – as opposed to simply getting good grades and a degree – when I was a student. It’s also made me realised just how broken and flawed our education system is. On the work front, there have been many changes, some good and some not too great. It’s largely a “wait and see” scenario because so many things are in flux right now. I don’t know how things will pan out but in the meantime, it’s keep calm and carry on. As a mother and wife, I constantly feel like I am a work in progress, especially since I embarked on my studies. I find myself short on temper and patience, and on some days, I just want to do absolutely nothing after work. I don’t want to talk to the kids, I don’t want to deal with cleaning their poopy asses, I don’t want to hustle them to eat their dinner/fruits/meds or to their showers. It sounds terrible but I just don’t. Luckily for me, my kids still love their mama with the same amount of zeal and intensity. I remind myself, whenever guilt starts creeping into the fringes of my heart, that I am being an example to them. When they whine about my studies taking me away from them, I tell them that mummy has to put in effort in order to do well. And when I finally graduate (although it feels so, so far away!! ), I hope they can see that as the fruit of my labour. On top of everything, we – well, I – decided that it was time to move out of our current home. This place has served us well over the past nine years but it’s definitely not quite meeting our needs now. I dithered for so long because it’s our first home, the home which we welcomed our feline and human babies in. This home has seen us hosting our friends for late night Guitar Heroes party. We had adopted our cats here and seen them destroy our things. We ate dinner on the floor while binge watching Supernatural. I had sat on the bathroom floor weeping while in the throes of infertility, and stared at the pee stick in incredulity in the same bathroom when I realised I was pregnant. My babies had slept with us in our bed since the day we brought them home. I had paced the floor of my bedroom in frustration when my baby woke up every 20 minutes. We have loved, laughed, cried, hugged in this house. But I came to realise that home is where my loved ones are, not the physical walls that we live in. We could leave this house and still build a home somewhere so this is where we stand today, on the cusp of moulding the home of our dream and leaving behind the home where we first begun our marriage. Consequently, the marriage is in the season where everything else is taking precedence. There is so much that needs to be done on all fronts and we have let ourselves slide down the back burner. So yes, definitely a work in progress but from now till April (when I finally graduate AND move into the new house – it’s all happening at the same time! ), we just have to plod on. Does it sound all doom and gloom? Oh no, not really. 2017 was great for the travel opportunities that we embraced. I took a solo trip to Madrid for my first round of classes and then headed to Paris for a quick getaway. It was truly what I needed, some time alone to be myself again and not the boys’ mummy. Then, we decided to hop onto a plane to visit old friends in Perth during winter and had a lovely drive down to the Margaret River region. Later on, when I had to go back to Madrid for the mid-term classes, I rallied the cousins to travel across Spain with me and we had a delightful two-week holiday with the boys. In many ways, I have been pretty lucky and blessed in 2017. There were mistakes and tears and frustration, oh heaps of these, but I have lived through them relatively unscathed. If there is anything that I have learnt over the past one year, it is that I am stronger than I give myself credit for. And there is much to look forward to this year. Finally, I graduate and can say that the blood, sweat, tears, wrinkles and eyebags have been all worth it. Finally, we can shift into a house that is exactly what we need in this season. 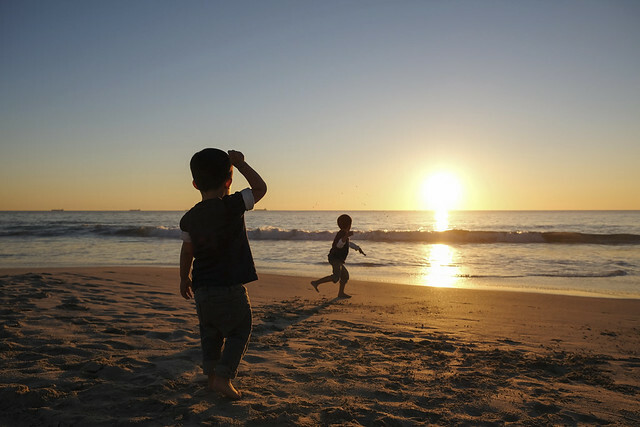 And with the husband and I approaching our 10th year of marriage, I think it’s time we start prioritising ourselves over our boys and work on us. So, 2018. Let’s slay, together. Dashing off a quick one now because…just because. Right now, at this very moment, I am feeling a little like an octopus. I have my hands tied in so many areas – my full-time job as an educator; being a mother, wife, daughter, sister, friend; working on my Masters. Sometimes, it feels like one hand is slipping and I am barely keeping that role in place. Sometimes, I feel like I am spread so thin that I am barely functioning. I breathe. And then plunge headlong into the madness. It’s my own “fault”, really. I opted to take on this Masters, I pushed for it to happen. But it’s also because I really wanted it, I wanted my brains to start churning again and lapping up all the beautiful knowledge that I don’t currently have. So I don’t complain. I don’t cry. I compartmentalise, push the guilt out of sight (try having your kids crying at bedtime because you aren’t there to put them to bed), and work. Mondays to Thursdays, I spend the bulk of the night working on my classes. Sometimes I end at 12am, that’s early. Most nights see me up till 1am, 2am. There’s so much that I don’t know and so much that I need to research about. But the more I read, the more intrigued I become. And then come Saturday evenings, I have video-conferences to attend. The studies have been incredibly fulfilling in so many ways. I am learning so much more than I would have on my own. I am so aware of my shortcomings – I feel really stupid some days! My classmates are so amazingly intelligent. And more importantly, I am relishing the challenge. It’s a struggle on many days and on many fronts, but I know that I can do it. And then I rise above it and deliver. It’s been three months of living like a zombie with my eyebags having eyebags. But guess what? I wouldn’t have it any other way. This life, right now, is full of chaos but I am not drowning, I am soaring. And I know I will miss it so, so much when it is over. While most people wrote a review or a recap of 2016 before the clock struck midnight on Dec 31, I didn’t. Mostly because I was lazy and procrastinating. But I suppose as I sit here waiting for the clock to hit 12am again the day before I officially grow older by another year, it is a good time to take stock of my 35th year. For much of the past year, I stopped writing. Life, as I always said, got in the way. Juggling a career with two little people and working on my marriage and trying my best to remain a friend to the people I care about – that is quite the gig. Most days, I am existing by the skin of my teeth, perched on the edge of my seat. Other things simply had to take a backseat. There were some regrets and even then, the regret petered out after a while. I simply had no time nor energy for regrets. And that sums up life in my 30s, really. I let go of many things and cut many people loose. For sentimental reasons initially, I mourned and thought about them often. Time proved to be a clarity check for me: it made me realise that given the many hats I am juggling, if certain things slid or certain people left my life, it just meant that they were not important enough for me or I was not important enough for them. And that is okay. There are more important things to care for, such as my health. My scare with uveitis told me who were the ones who thought about me and cared for my well-being. It taught me that I should always put myself first, above all things. To this day, nobody knows, not even my optometrist knows why I came down with this strange and rare condition, but she has warned me that it can be triggered by stress. And this is why I need to ensure that I am well-nourished, mentally, physically and emotionally. In my 35th year, I finally came to the epiphany that I am actually good at what I do. I used to think that I wasn’t cut out for it, that the bureaucracy and the red tape will be the death of me. I still think that certain processes and the way certain public sector people act are horribly time-consuming and useless. But I also know that I enjoy what I do, and that what I achieve is greater than any eye-rolling stupidity that I face in the long run. More importantly, however, is the fact that I also accept my abilities and capabilities wholeheartedly. In the past, I never thought too highly of myself, believing that I was lucky to have generous and kind bosses. I would say things like, Oh I don’t know why they think I am good. Because, damn it, I work hard and I am good at what I do, and I need to learn to accept that. On the home front, last year was challenging in so many ways. The husband got a new job and started jetting off for weeks on end. I will say that it has been incredibly hard, especially when my full-time job can be draining (dealing with teenagers on a regular basis is not easy, I will tell you). When he flew off a couple of weeks after my uveitis diagnosis, I panicked a little. I was so, so scared of it recurring. I will be lying if I said that there was not an ounce of resentment in my bones, and I will be lying if I said that all was well and rosy. But as marriages go, there are ups and there are downs. At the end of the day, we work through it and we work it out. Are we still crazy in love? Yes. Are some days harder than others? OH YES. Somebody once said to me that I shouldn’t have it hard since I have a helper. All I can say is, dude, my helper ain’t bringing up my kids. On most days, I do most child-related chores myself. Yeah, maybe that isn’t the smartest, but it’s just the way I function as a mother. I still like to bathe the kids, read to them and lie down with them in the dark as they drift off to sleep. It’s my chance to cuddle them and kiss them and show them that I love them even if I am not by their sides for the past nine hours. It’s their chance to refuel their love tanks and to seek refuge in the shelter that I provide. And you know, that is ultimately the kind of feeling I want my kids to have with me as their mum. I want them to know that they are safe and loved, and that they can always come to me no matter what. One day, they will walk off and find their ways by themselves. They won’t need to hold my hands for much longer now. But always, when their ships are tired of sailing, they can always find their way home to me. And speaking of sailing – we did a little bit of travelling in the past year and I want MORE. 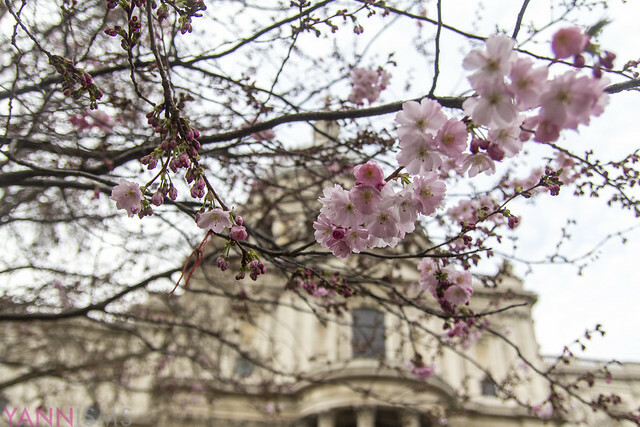 London in March, oh London. It still has a little piece of my heart, I long to go back again and again. 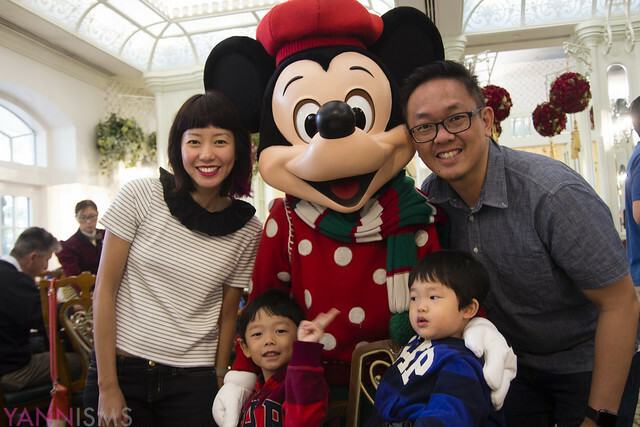 We finally brought the littles to Disneyland in Hong Kong and it was so delightful. 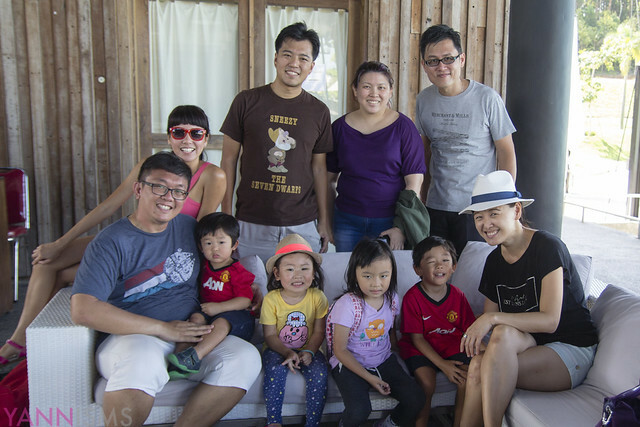 Then, we scuttled off to Bintan with our friends and their kids for a little getaway – everybody had so much fun! The kids loved having company, they got along famously and the parents are now talking about organising a long vacay. So hey, THIRTY-SIX. You are here and I am ready for you. Bring it, 2017. Between you and I, I’m pretty sure we can rock this town. I’ve been itching for a change for a while now. No, it’s got nothing to do with finding a new job. I mean, I am likely to remain in this position for the next couple of years since a) I have no idea what to do with myself other than teach, b) nobody would hire me, c) I need the subsidised childcare. One of the changes that I have been pondering is the change in our living quarters. Back when we first got the flat, I thought we would never move. There’s so much that I love about it – the light falling through our large windows, the airy balcony, the large living room space, the central location. And these are still what holds me back from shifting. But when the boys came along and we hired a helper, the space is slowly taken up by their things and their needs. And this space is becoming less and less…comforting. No, that’s not the right word, my home is still a great source of comfort to me. Rather, I find more and more flaws in this home. And I think that I want a clean slate to begin again, so better design a home that’s more in tune with our current needs. And yet I can’t bear to leave this place, our first home with all its light and huge windows and amazing location. Decisions, decisions. Another year, another birthday for you, my beloved homeland. We watched the parade in the comforts of our own home. This time, Aidan is old enough to be captivated by the proceedings while Zac dozed off midway through the parade. While I can’t say that I cared much for the legend of Badang storyline, I will admit that it’s always the same old things that bring a tear to my eye – the patriotic songs of yesteryear, the enthusiastic performances by all the participants, the pride clearly shown in the spectators and the gorgeous fireworks bursting in the night sky. This year, however, something else made me almost weep with pride. 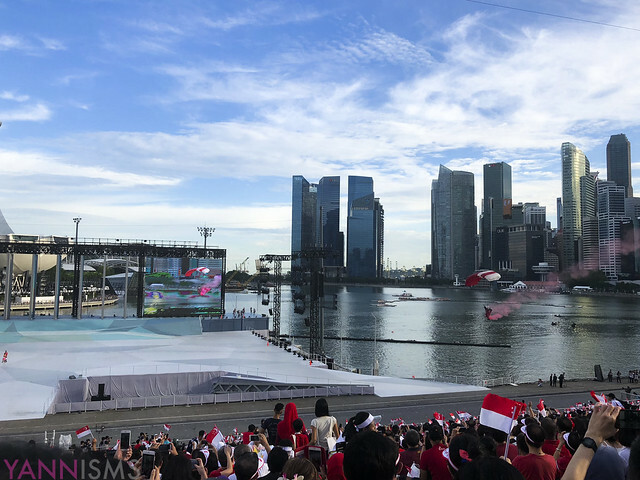 And that is the inclusion of the special needs Singaporeans in the parade, as well as the signing of our favourite National Day songs. There was something electrifying in that segment, something heart warming. It made me feel like we are taking a huge step forward in becoming an inclusive society. And yet, I could not help but feel resigned that this took 51 years in the making. But as I’ve said before, life in Singapore can feel like a complicated cha-cha. We move one step forward and then three steps back. A whirl and a turn later, we are back on track. It can be immensely frustrating and yet hopeful at the same time. Hopeful. Not quite a word I would use on 2016, frankly. It’s been crazy and weird and downright depressing. Sometimes, I wonder what the hell we are doing and what kind of world we are leaving behind for the children. But it is precisely the children who gives us hope. Who makes us feel like giving it our all even if we are not sure our best is good enough. On Monday, the school that the littles go to had a National Day celebration and the parents were invited. Amid the various activities and shows and games, there was one thing that stood out: the simple, pure joy and enthusiasm of the children. They sang this year’s theme song, Tomorrow’s Here Today (a rather catchy and fun tune, I really love it!) with much happiness, were loud and proud when reciting the pledge, and belted out the national anthem with gusto. There was so much love for the celebrations, for the country. And as the proud parents watched them do their thing, we couldn’t help but feel inspired by and smile at their positivity. At some point in time, they will lose this simplicity. They will lose all the sense of wonder that they have for their country. They will be critical – and rightly so too. But at that moment of watching them take their pledge seriously, that was when I came to the realisation that the children are our future. And how they will be in time to come will be the results of the seeds that we sow today. And that’s why the segment with our special needs people is important. It may have taken 51 years for us to get here but it isn’t too late. We still have time and hope. We cannot give up, we must not. We have to do our best today to lay the foundations for our children, to ensure that the future for them is an inclusive, gracious, open one. Happy birthday, my birth country. I am proud of how far we have come but there is still much to be done. I don’t know if I will be here when you celebrate 100 years of existence but I do know that we can weather the storms of today to build a home that we will be prouder of for our children. Hi! My name is Yann and this is where I unload my thoughts. It’s sort of cathartic for me to write and sometimes, people tell me that they relate to my words. Read more here!